I've been known to criticize journalists because too many are lazy, or lacking the skills or backgrounds to adequately fulfill their assignments. Nevertheless, for most reporters, those who aren't making millions on CNN, it can be a thankless, low-paying job. And as I've mentioned before, I'm particularly sensitive to the dangers experienced by field journalists. Last week, Alberto Velazquez, who worked for the Mexican newspaper Expresiones de Tulum, was gunned down as he left a party, making him the 12th reporter killed in Mexico this year. Dozens more have been beaten, harassed or abducted. The Committee to Protect Journalists (CPJ), an American-based non-profit organization established in 1981, reports at least 69 journalists have been killed in 2009. That number does not include Calgary Herald reporter Michelle Lang, who was killed Wednesday along with four Canadian soldiers when an IED detonated next to their armoured vehicle. "Lang, on her first assignment in Afghanistan for Canwest News Service, had arrived in the country little more than two weeks ago. 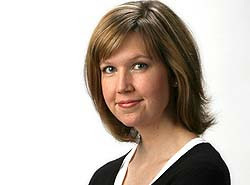 She won a National Newspaper Award last year for coverage of health and medical issues for the Calgary Herald." Colin Perkel, THE CANADIAN PRESS. My condolences to their families, friends and colleagues. Posted by Morey Altman at 12/31/2009 10:26:00 a.m.